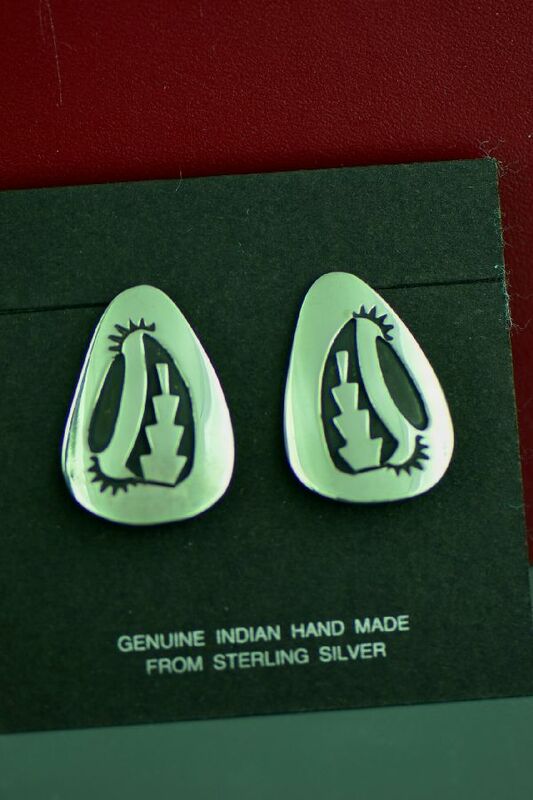 These nice traditional sterling silver earrings are designed and handmade by renowned Navajo artist Tommy Singer. 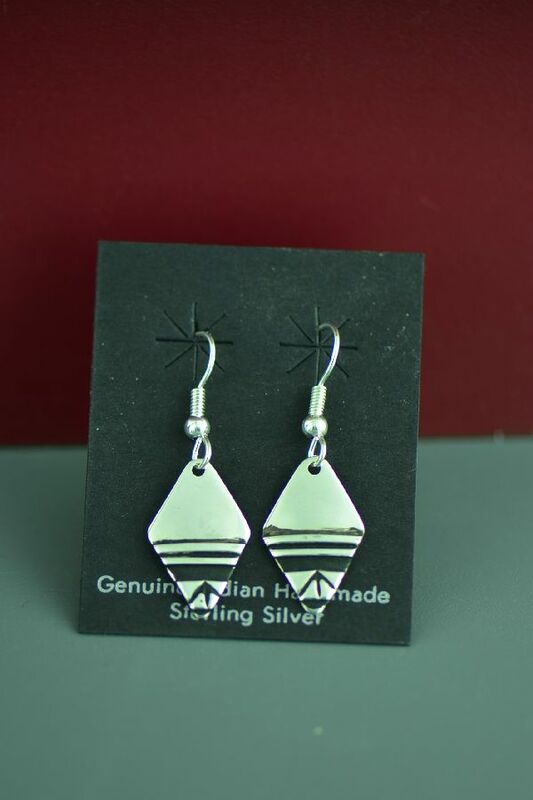 These beautiful earrings measure 1-1/2” tall by 5/8” wide (including the French wires). We purchased this piece from Tommy on May 26th 2014, 5 days before he passed away. Tommy Singer was born in 1940 and passed away May 31, 2014. He was from Winslow, Arizona where he lived with his wife Rose and their children and grandchildren. 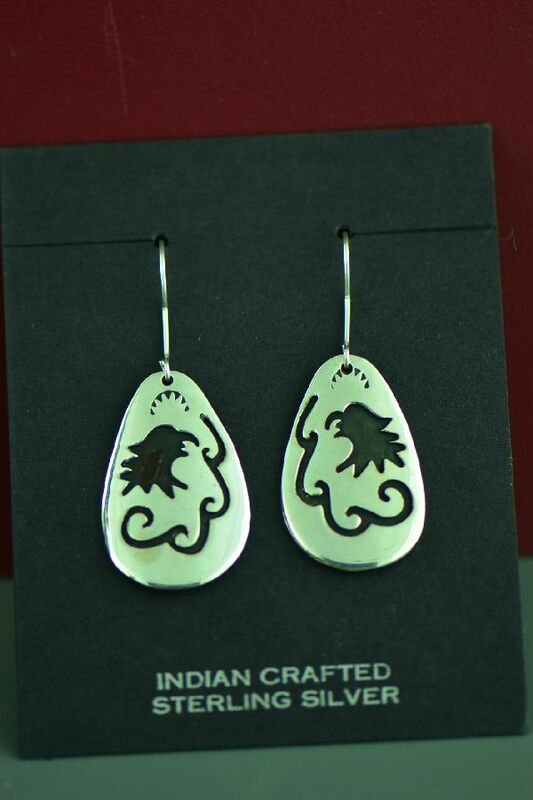 Tommy was a regarded silversmith and is known throughout the world for his jewelry work. 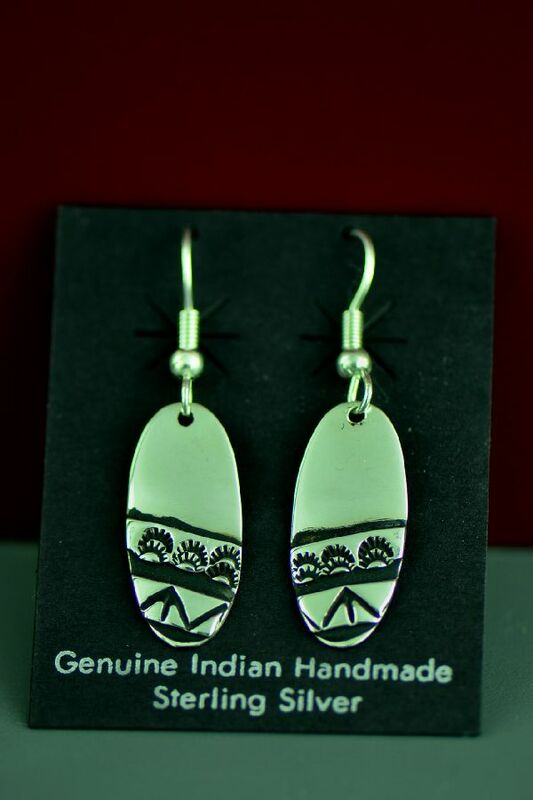 His overlay pieces incorporate the most traditional of Navajo design – designs that have endured for years and years. Many of these designs are of Navajo rugs and other traditional designs.